Haven’t you ever wondered what a palace looked like in the medieval times, especially in Europe? Imagine if you were there to experience the splendor, the artistry and the sheer magnificence of the King’s abode in all its glory. Wow! A sight to behold for sure. Since time-travel is not possible, you can walk these paths of history when you travel to Europe with Kesari Tours. 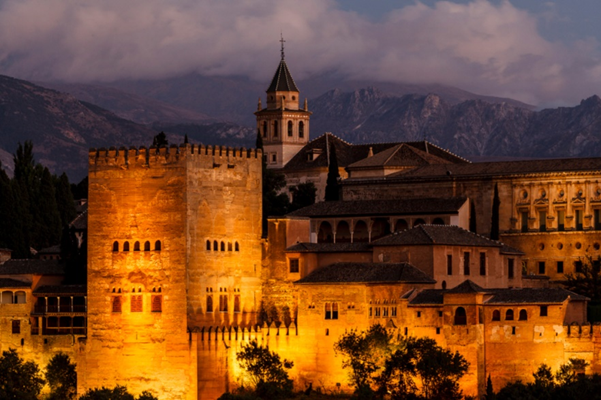 Get a slice of all things medieval when you visit the Alhambra Palace –a UNESCO World Heritage site that is in Granada, Andalusia Spain. 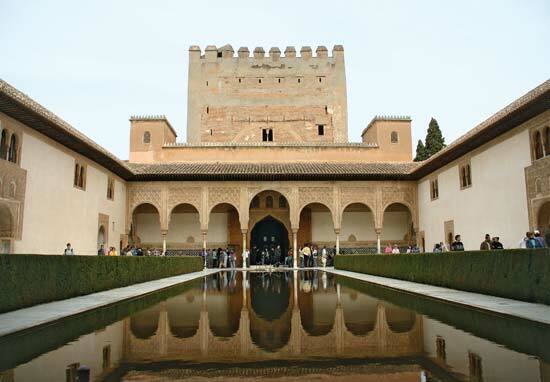 The Alhambra Palace -a stronghold fortress and palace was built to reflect Moorish architecture in the 13th century by Mohammed ben Al-Ahmar, who was the emirate of Granada then. The architecture of medieval age enchants visitors the world over with its exotic gardens and fountains. The fortress Alhambra derives its name from the sun-dried bricks of red color that have been used to make the outer walls. Built on a plateau overlooking the city of Granada mainly for military use, no king has ever lived in the Alhambra Palace. The construction of the palace began in 1238 and was completed in 1358. This enchanting palace and fortress compound faced several incidents of defacement over the centuries by various invaders and rulers. You will find the ‘Alcazaba’ meaning a citadel, which is the oldest part of the site made of massive outer walls, towers, and ramparts. Although not well maintained, it is a delight to move back in time while seeing the weather worn walls. Beyond the citadel is the Alhambra Palace and a little further inside is the Alhambra Alta i.e. the upper Alhambra where court officials and courtiers lived. The foremost tower of the fortress provides a panoramic view of the surrounding city of Granada; the Sierra Nevada’s and the Alcazaba. Don’t forget to visit the Hall of Ambassadors -a spacious grand reception room; the Sala de Los Abencerrajes, which is named after the last king of Granada, Boabdil and the Hall of Two Sisters i.e. Sala de las Dos Hermanas is known for its amazing stalactite work. Experience the beauty of the open-air courtyard with its pools, fountains, incredible pillars and arches depicting the best of Moorish architecture. Enjoy this walk-through history with Kesari’s All Europe tour today.